New Year brings a fresh start, at least for the company Western Digital, which has decided that in the year 2014 will not supply hard drives with a PATA interface. Although long, the production of hard drives prevailed on the side of the SATA interface, the company has kept alive, and a small series of drives with PATA interface to meet the needs of users with older computer equipment. 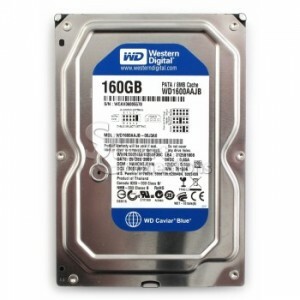 The decision to stop production did not come unexpectedly, Western Digital is already in May this year issued a warning to distributors of computer equipment, it would be good to make supplies of PATA drives. Last pieces of Caviar hard drives with PATA interface will be delivered on the 29th of December, after which it will, WD800AAJB (80GB), WD1600AAJB (160GB), WD2500AAJB (250GB), WD3200AAJB (320GB), WD4000AAJB (400GB) and WD5000AAJB (500GB) PATA models get EOL (End of Life) status.